Scientists have identified a ‘master regulator’ in young blood that can mostly reverse aging in the brain. Young blood has rejuvenating, anti-aging properties that scientists are trying to tap into. 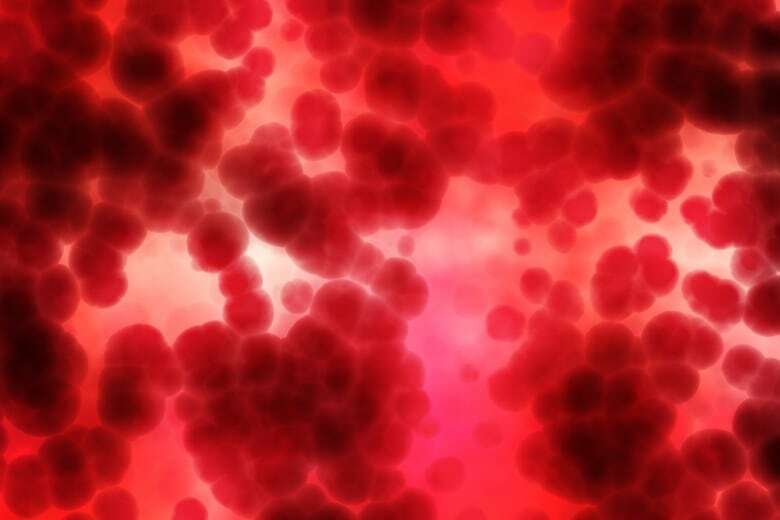 A new study published in the journal Cell Reports now brings us one step closer to determining what it is in the young blood that age-reversing properties. A few years ago, scientists discovered that when they gave young blood to old mice, something pretty astounding happens in their brains. The older mice get more stem cells, produce more neurons, the connections between their neurons become stronger, and their spatial memory improves. The effects of aging in the brain are, in large part, reversed. Dr. Saul Villeda, an assistant professor of anatomy at the University of California San Francisco, is the senior author on the new study. His lab made the initial discovery that older mice's brains start behaving like younger ones, when old and young mice are surgically attached together. It's a process called parabiosis. Not only that, but the younger mice's brains appear older too. Dr. Villeda says his most recent work set out to understand why. When you give young blood to an old animal, it stimulates the production of new neurons and stem cells. "What is it that might be controlling that rejuvenation? The old brain has to have some sort of dormant plasticity. Something must still be there that we can tap into in the first place to make it younger," said Dr. Villeda. To figure out which molecular targets to look for, Dr. Villeda did a genome-wide scan of young and old blood. A difference in levels of a molecule that controls how some genes are expressed caught his attention. "What we identified is that young blood can actually stimulate large changes at the level of the DNA," says Dr. Villeda. "Now what was interesting is this particular protein, an enzyme called Tet2, and it regulates these modifications. And these modifications are known as epigenetic modifications." As we get older, the levels of the Tet2 enzyme in our brains go down, especially in the hippocampus region, which is associated with learning and memory. Dr. Villeda says that when they give young blood to older mice, suddenly that enzyme is restored. "Now the really cool part about it is that this protein can cause lots of changes on the DNA because it modifies them. It's a master regulator. You can turn on and off lots of these different genes, so it has a program. So somehow, as we're getting older, it's not just one gene that's changing, entire programs in your DNA are changing. And somehow exposing old animals to young blood can restore these programs, can make them younger at the level of the DNA." They wanted to see what happens when they adjusted the levels of Tet2 without infusing blood. Dr. Villeda used gene editing to insert Tet2 DNA into a virus and then infected the hippocampus brain region of the mice, which increased Tet2 levels in an older mouse to that of a younger mouse. "The landscape of the genome, the DNA, looks younger. And then the end result is that if you increase that Tet2 protein, you can actually stimulate stem cell activity in an older animal and you can actually even improve and enhance cognitive function, those same types of learning and memory processes that young blood can enhance," says Dr. Villeda. "I was really excited because it suggests that we can sort of manipulate the DNA to make an organism younger again." As scientists like Dr. Villeda continue to look for molecules in the blood that can reverse signs of aging, not everyone is willing to wait for the science to come in to take advantage of the rejuvenating properties in young blood. 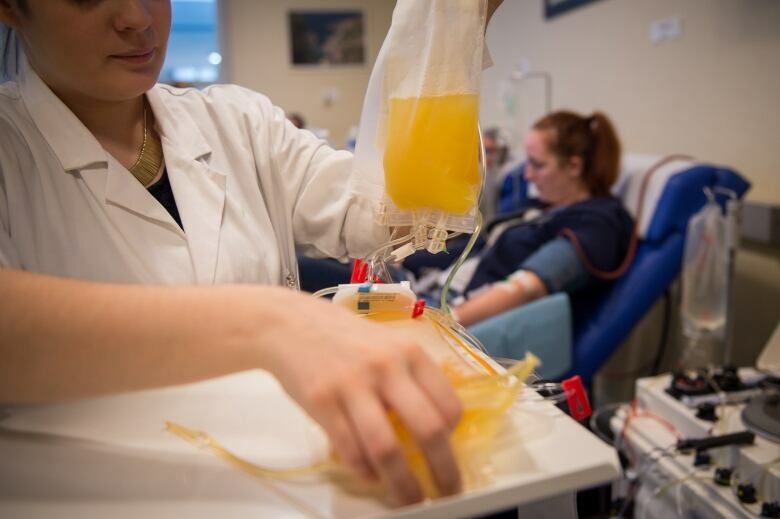 A private company operating out of San Francisco, called Ambrosia, has been offering blood plasma extracted from young people's blood to anyone willing to pay $8,000 USD per treatment to be part of a clinical trial. So far, they've treated a hundred individuals with blood plasma donated by 16 - 24 year olds. The company's CEO, Dr. Jesse Karmazin, says he plans on publishing the results from their trial later this year, but that their preliminary results exceeded their expectations. "So it does appear to turn back the clock on aging in humans," says Dr. Karmazin. "People feel and look younger after just one treatment. We also had signs that there were reversals in very serious ailments - things like cancer and heart disease and Alzheimer's disease. So we think that this could be a very significant new treatment option for people." Dr. Karmazin says he plans to continue offering this treatment to people through his company, but Dr. Villeda says he doesn't think the science is there yet to start offering young blood plasma as a therapeutic tool. For one thing, Dr. Villeda says, there's no control group with the Ambrosia clinical trial. "One of the reasons that we like controls is we're able to independently compare what happens if we just give a placebo - because we know there's placebo effects - versus what happens when there's a treatment." Another company called Alkahest conducted a small randomized, double-blinded, placebo controlled, study at Stanford University to test the safety and feasibility of giving young blood plasma to people with mild to moderate Alzheimer's Disease. "Now they do have some some evidence and they presented the data at a conference recently, where the caregivers actually noted that there was an improvement in sort of the independence of the patients," says Dr. Villeda who is on scientific advisory board for Alkahest. "But again it's very early on and it was a very small trial. But I think it's still very promising that, yes indeed you can give plasma in a healthy way and potentially it could have a benefit." There simply is not enough young blood plasma banked to treat every Alzheimer's patient, so Dr. Villeda suggests using plasma is not a sustainable approach going forward. "We really need to identify what some of these factors are, some of these compounds that we can give to rejuvenate the brain as a longstanding and [...] an actual therapeutic that we can have long term." The goal for most scientists working in this field is to identify molecules, like Tet2, that can rejuvenate the older brain, as well as finding molecules in older brains that prevent this rejuvenation. Dr. Villeda says he's really hopeful about the potential Tet2 molecule has because it's also implicated in cancer, cardiovascular disease, and stroke. "Those are all age related conditions or diseases. So I'm really hopeful that the same principles that are applying in the brain at the level changes in the DNA will also apply across tissue."